I know nothing of Scotch but 46 tastes like termite piss. Pour a shot of all of them . Light them on fire. Drink and mesmorize all watching with your masculinity. Are those fake Oakleys? ... Jokelys? I prefer American bourbon whiskey myself. Into a fishbowl and chug! 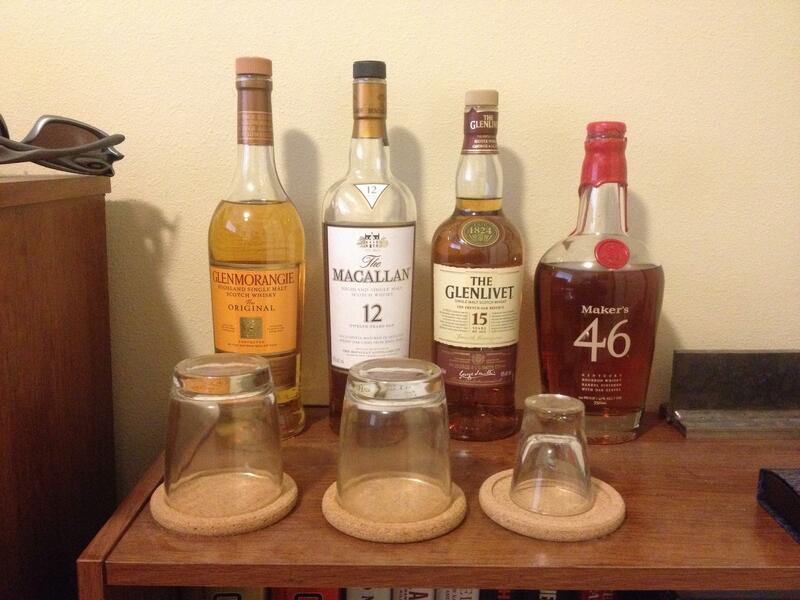 Your major issue is the lack of Blantons and Oban. It's pretty expensive. You have any idea how many termites you have to wrangle? And then squeeze the piss out of each one? Takes a while. My regular is Bulleit though. Not to mention making them drink all those tiny glasses of water first. Seriously, no Islay Malts? None? I'm new to bourbon, it's certainly different but I think I could get used to it. I found Defiant to be a good middle ground between Scotch and Bourbon. I picked it up because it was on the bourbon aisle and I wasn't paying attention... took it home and thought it was terrible bourbon, but a decent "scotch". Today is star wars day brother! Drink them all while watching the original trilogy! I'd go with The Macallan myself. It's the only whiskey I can tolerate drinking aged under 18. As you can see it's the one I've drank the most of. Wash your glasses. With soap and water. I used to HATE Bourbon. Scotch still tastes like turpentine to me, but I can't say the day won't come. 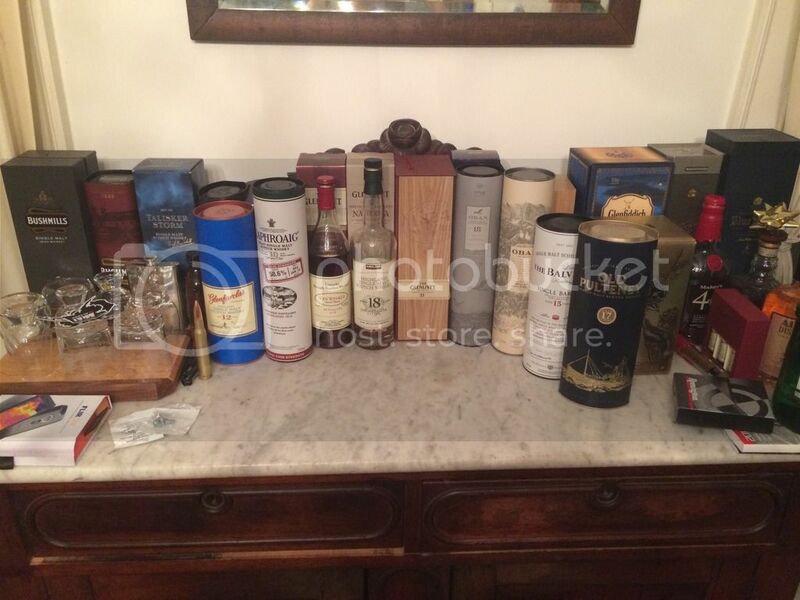 I always figured there was a reason mostly older guys seem to gravitate towards Scotch. I figured their taste buds were burnt slap off by everything else that came before. I like people with expensive booz on particle board furniture. It says I'm serious, but I like to party. I've run out. That's my problem. Alaskan serving a term of 3-4 years on the lEast coast. I'd go to the store and get some Lagavulin 16 or at least some Laphroaig 10. Not really. 46 just tastes like you fed an oak bedroom set, soaked in Makers Markers to a colony of termites and then bottled their piss. In the far left glass. You've got a couple good ones to choose from . . . Mix them all together and pour it into some Gatorade.